In 1907, Paul Nixon, a musical prodigy, moved to Rome with his parents and his sister (Lucia Nixon McKay). A year later, Capt. H.P. Meikleham of the Pepperell Mills in Lindale, hired 18 year old Nixon to form and conduct a concert band, organized in 1908. It was a great success, drawing listeners from a radius of 40 miles to their concerts. During World War I, Nixon conducted a U.S. Army band in Europe and became friends with John Phillip Sousa, who was in charge of all our military bands in Europe. After the war, he returned to Rome and reorganized the Lindale Band. 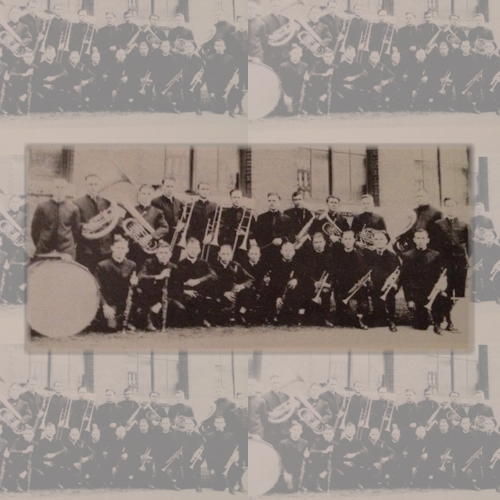 In 1921, in cooperation with the Rome Music Lovers Club, the Lindale band joined with Mrs. W.P. (Edith) Harbin’s chamber music ensemble to form the Rome Symphony (with Nixon conducting), the first and oldest symphony in the South. Nixon continued to conduct the Lindale Band, along with the Rome Symphony. In 1925, his friend, John Phillip Sousa, came to Rome and conducted the Lindale Band in concert, to a packed audience at the Rome City Auditorium. The first school in Lindale originated in 1896 when the Floyd County School Superintendent persuaded C.H. Shiflett to start a school. 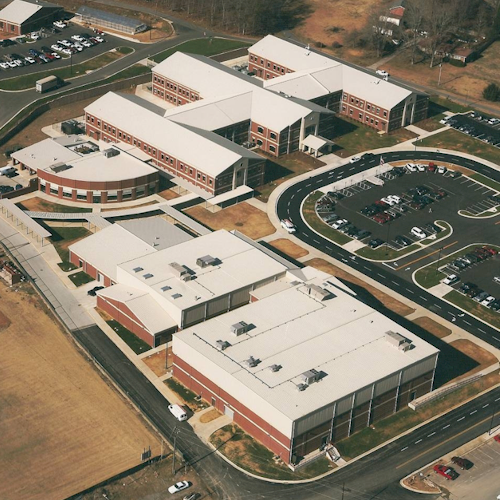 In December of 1940, the first school building on the present day Pepperell High School campus was completed. Then in August of 1951, Pepperell became a high school, and was recognized by the Southern Association of Schools and Colleges in 1962. With its great traditional background and strong heritage, the Pepperell High School Band stays true to its Alma Mater and represents the Lindale community with pride. A native of Summerville, Mr. William Leach worked as a football & basketball coach, science teacher and band director at PHS for four years (1952 – 1955). Mr. Leach went to Dalton High School where he worked as the science department head and assistant band director for 10 years. 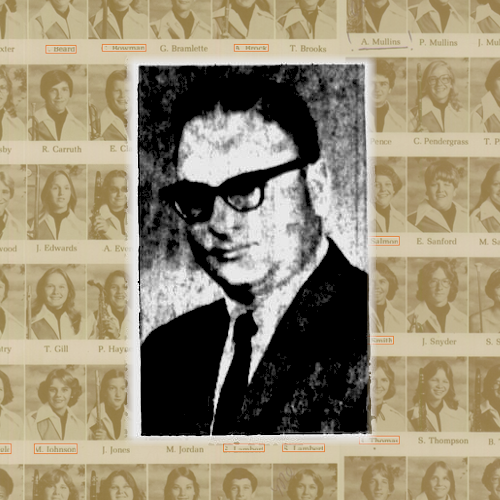 In 1965 Mr. Leach joined Shorter College to teach biology and chemistry. 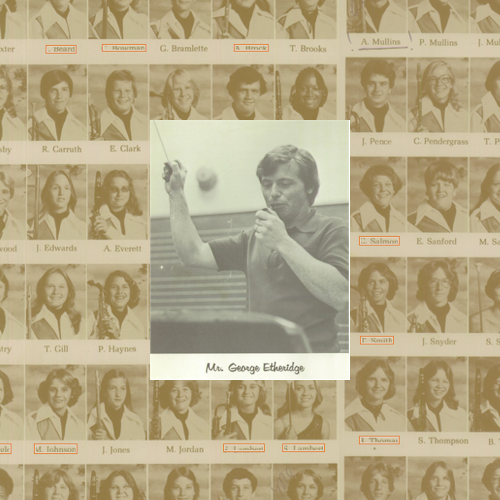 Mr. Leach joined the Georgia Department of Education in 1970 and was named Director of Program & Staff Development in 1978. The public’s interest was mounting for the opening summer concert series back in May 1953. The Pepperell High School Band joined the “Pepperell Band” in their weekly Sunday concert appearance. The season marked the 43rd consecutive summer’s appearance with Champion Jr. as Director, sponsored by the Pepperell Manufacturing Company. The 1953 concert series ended with a performance on the lawn of the Lindale Auditorium; included on its program was “R.D.H. March” (dedicated to Mr. Harvey), Nixon. For the closing of the 1954 summer series the Pepperell High School Band, under the direction of Ralph Champions Jr. and Joseph William Leach performed a joint program with the “Pepperell Band” sponsored by the Pepperell Manufacturing Company. As a tribute to the memory of the late Broadus W. Moak, former director, the “Pepperell Band” played “The Bombardier March” that was composed by Mr. Moak. To inaugurate the opening of the 1955 summer concert series, the PHS Band, under the direction of William Leach, paraded and executed marching maneuvers on the lawn of the Lindale Auditorium. The Lindale Dragon Club was formed to work with the schools; one of its main projects was sponsoring the High School Band and the purchase of new uniforms (1956). The PHS Band, under the direction of William Leach, accompanied the “Pepperell Band” in the final concert of the 1956 summer series. In 1957 the band was made up of approximately 60-pieces. The Dragon Club neared 1000 members which lends financial support to the PHS Band and other school activities. The Dragon Club sponsored a Halloween Carnival raising proceeds towards the purchase of new uniforms (1958). In 1959 the Pepperell Dragon Club sponsored a boxing program that included boxers from the Rome, Cartersville & Macon YMCA; proceeds went towards paying for the new band uniforms. In 1959 the 15-member precision drill team (majorettes) was referred to as the “Pepperettes”. 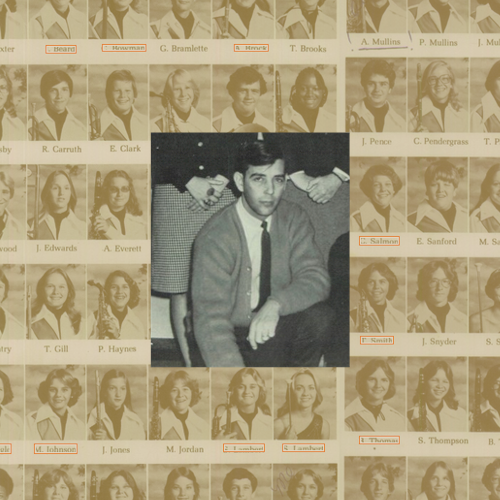 Mr. Leithauser graduated from Auburn in 1959 with a Liberal Arts Degree and a major in music. The Pepperell Beginner Band was made up of about 45 boys and girls including students from McHenery and Midway. 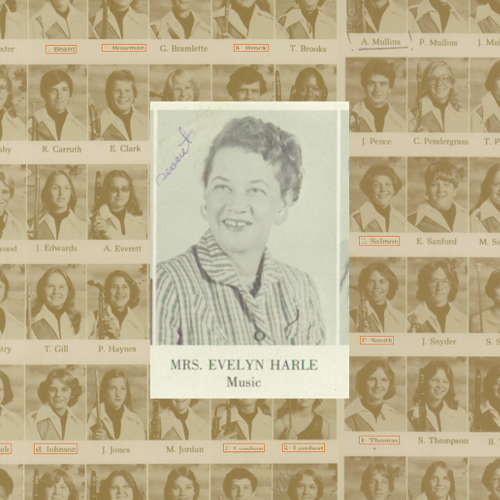 The Senior Band had about 32 members (1961). In 1961 the newly elected drum major was “Ronald Reagan”. It was noted in 1961 that the Pepperell Schools Band Parents Club was “newly-formed”. Mr. Leithauser explained to the group why such a club would be useful and told of things the club could do to help the bands. Approximately 130 students made up the Pepperell bands. In 1962 the Pepperell School Band Parents Club sold a Community Birthday Calendar to raise money for band equipment. 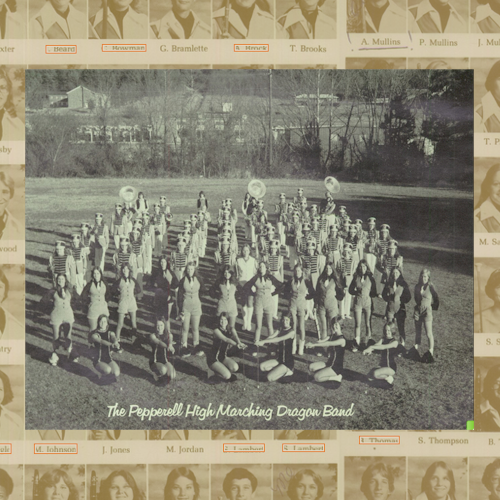 A two-colored picture of the Pepperell Band was at the top of each calendar. The calendar included birthdays, wedding anniversaries, social functions, and special programs for those that paid and subscribed to the calendar. In 1965 the PHS Band had 113 members. As published by the Birmingham News: Donald Gene Leithauser, Sr. passed away Tuesday, July 21, 2015 after an extended illness. Much could be said about Don’s life, he was involved in numerous civic organizations in Rome, GA and was a member of the Kappa Sigma Fraternity, but most important would be his love and dedication to music. From the time he first picked up a trumpet at age 11 until the day he could no longer sing in the choir, his life was filled with music. He was a member of the John Carroll High School, Band, the 82nd Airborne Division Band and the Auburn University Band. He also played with a group at the university called the Auburn Knights. 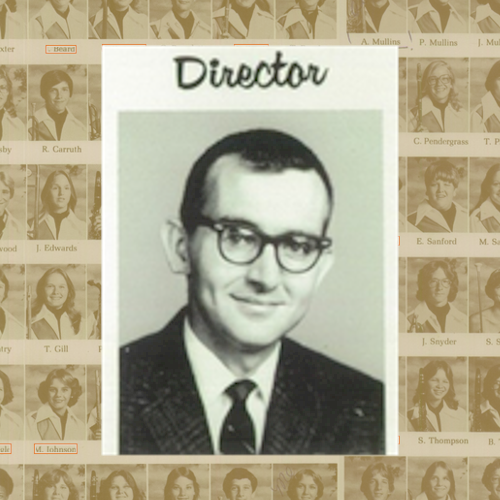 His major was music and in his senior year he wrote and directed a Musical entitled “The Mischief Maker” for the 1959 Spring Show. In order to graduate he was required to compose a number to be played by the band, which he did. He graduated with a BA in music educational after graduating he became the bandmaster at Dadeville High School, Dadeville, AL and later on moved to Rome, GA where he directed the band at Pepperell High School. Unfortunately the untimely death of his father-in-law caused Don to put his profession on hold and take over the family’s construction business, but for the rest of his life his free time was spent writing music, some of which was published and some that was not. 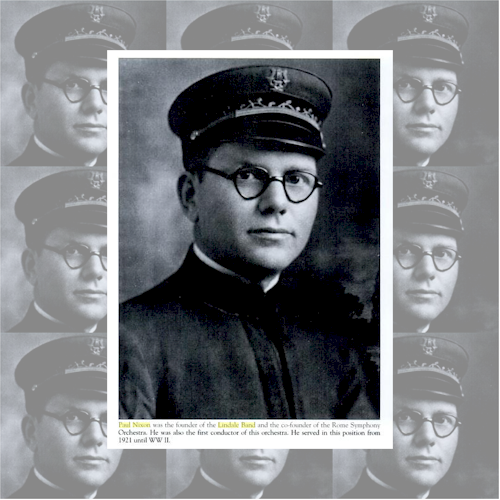 He was in the choir at St. Mary’s Catholic Church in Rome, and at Our Lady of Lourdes Catholic Church in Birmingham for many years as well as a cantor for a time. In 1968 the majorettes featured a fire routine twirled to “Tara’s theme” from “Gone with the Wind”. The PHS Band sometimes recorded their concerts for radio broadcast. The Pepperell Band Parents Club sponsored the 1970 edition of Holiday Hippodrome featuring a three-ring circus including animal acts, slapstick comedy, magicians, acrobats, chimpanzees, monkeys, the Hillani Poodles from Germany, and the Amazing Bradbury & Co. “the master of illusion”. 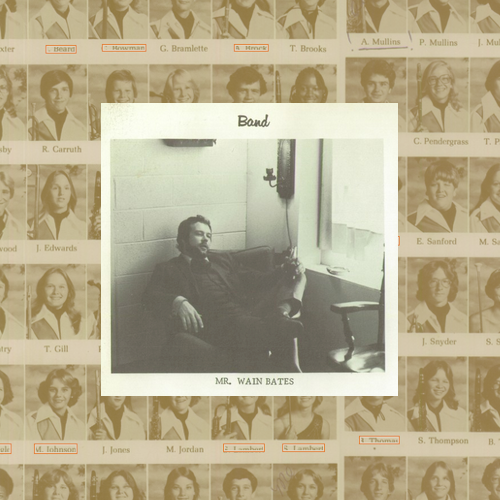 Wain had been the director at Coosa High School in 1965 and served as drum major with the Rome High Band. He received a Bachelor’s Degree in Music Education from Jacksonville State University and a Master’s Degree in Music Education from the University of West Georgia. While at JSU, Wain was a member of the Marching Southerners, the Brass Choir, Jazz Band, A Capella Choir and Phi Mu Alpha Music Fraternity. Now retired with 32 years of music education, Wain is active in the Rome Little Theatre, a member of the Roman Festival Brass and the 8th Regiment Band of Georgia. In 1971 the PHS Band marched 69 members. In 1972 the PHS Band performed an open-air concert for the second annual Flea Market (bazaar or festival) sponsored by the Lindale Garden Club; Pepperell Band Parents worked the concessions. Etheridge had a Bachelor’s Degree in Music Education from Troy State University and was working towards a Master’s Degree at Jacksonville State University. He had taught band previously in Alabama and in Southern Georgia. In 1974 The Peach State Marching Festival was initiated at Barron Stadium, co-sponsored by the East Rome Gladiators and the West Rome Chieftains (now Rome High School). 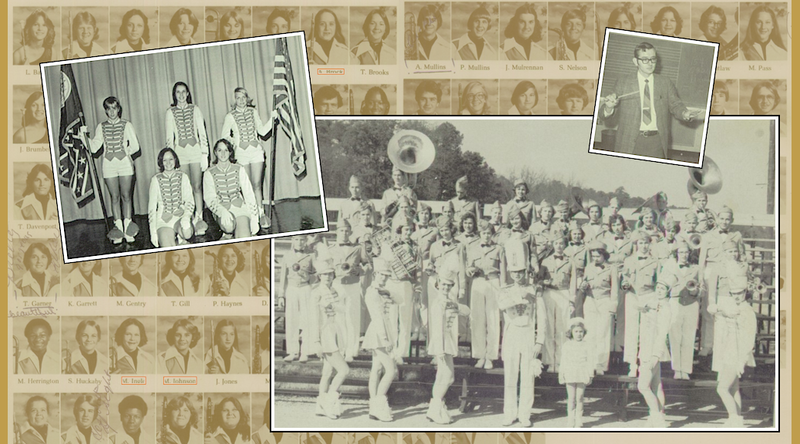 In 1976 the Pepperell Band & majorettes were rated “Good” and the drum major & color guard were rated “Excellent”. In 1975 the 50-piece PHS Band performed at the Festival of States in Williams Park, St. Petersburg, FL and participated in the second annual Peach State Marching Festival held at Barron Stadium. 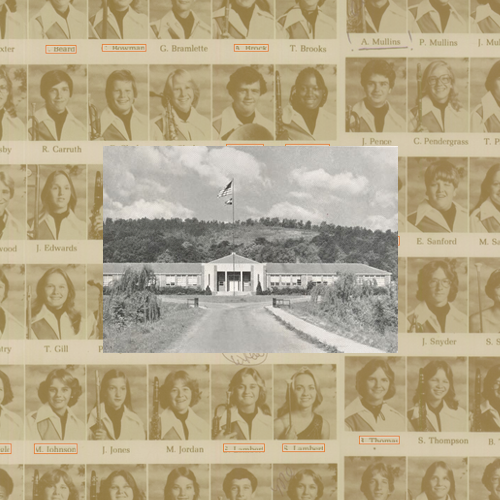 The 100-member PHS Band with new uniforms had a successful year in 1978. The band finished 2nd place overall in Class C at the Peach State Marching Festival. The PHS Band was the only band to receive straight Division I ratings in all categories in Class C at the Fountain City Marching Festival, held in Columbus, GA. The band finished 3rd overall. The new uniforms featured a black Aussie hat, black pants, white blouson shirt with a gold-stripe and black-piping, a black ascot and gold pleated cummerbund. 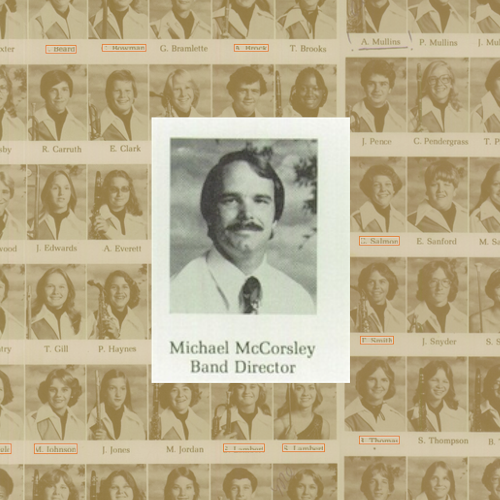 In 1979 the Pepperell High Stage Band under the direction of Mike McCorsley provided the music for the musical comedy “Swinging High” presented by the high school drama department. Admission was $1 for students. In 1981 the 113 member PHS Band was invited to the Cherry Blossom Festival & parade in Washington, D.C. The schedule also included a salute to the president with a concert performance on the steps of The Capitol. The scheduled trip for April 1 -5 was nearly disrupted due to the attempted assassination of Ronald Reagan on March 30. Mr. Phil Min received his bachelor’s degree in music education from The University of Tennessee and completed his master’s degree at Memphis State. He also taught the Spirit of Atlanta from 1980-81, the Memphis Blues Drum & Bugle Corps, and the Avant Garde Drum & Bugle Corps from Saratoga Springs NY, as well as being a bugle corps judge. 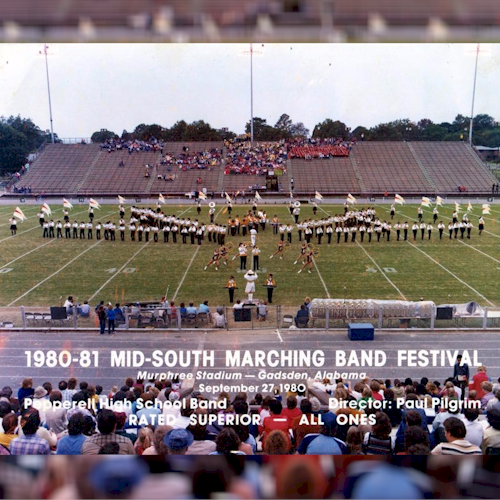 In 1982 the PHS Band received all superior ratings at the Mid-South Festival, Gadsden, AL; the Concourse of Champions in Oxford, AL; and the Peach State Marching Festival. In 1985, the 75-member PHS band (18-member color guard and seven majorettes) was one of 15 selected to march in the Orange Bowl Parade in Miami, FL. The Dragon Band took 2nd place overall in the AAAA Class at the Peach State Marching Festival. In 1986 the PHS Band received superior ratings at the Sprayberry Marching Festival at Atlanta, the Peach State Marching Festival in Rome, and at the Citrus Bowl Marching Festival at Orlando, FL. The band also appeared on national TV marching in the Citrus Bowl Parade. The PHS Band made another national TV appearance in the McDonald’s Christmas parade in Chicago, IL. Mr. Moody received both his Bachelor of Science in Music and Master of Education in Music from Jacksonville State University. He previously served as band director at Murray County High School in Chatsworth, GA, Weaver High School, AL, and Pepperell High School and Pepperell Middle School in Lindale, GA. In 2005, Mr. Moody was selected as Distinguished Service Award Winner in Administration for Floyd County Schools. Mr. Moody’s bands consistently received Superior ratings at concert festival, and his marching bands won first place honors on a regular basis. The Pepperell Middle School Band under Mr. Moody’s direction performed at the 1997 Georgia Music Educator’s Conference in Savannah. 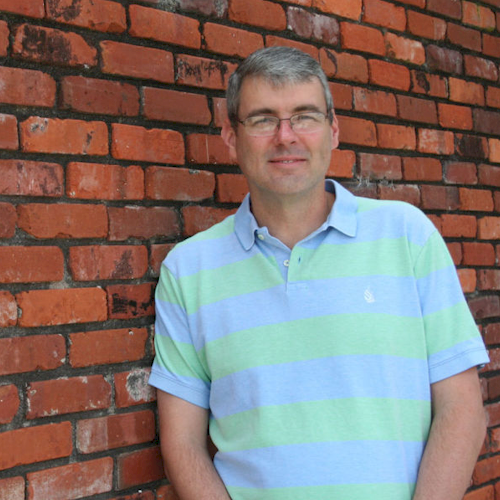 Scott Moody retired from the Floyd County School System in 2011 as the Director of Fine Arts where additionally he was in charge of Professional Learning and Student Assessment. Mr. Moody continues to remain active in the field of music. He regularly works with local bands, judges both marching contests and concert festivals, and conducts honor bands in Georgia and Alabama. He is a former president of the Rome Area Council for the Arts and served on the board of the Rome Symphony Orchestra for many years. Scott’s favorite theme to build a performance around was a patriotic one and his favorite festival was the Fort Mountain Marching Festival (“it also helps that we have won our class there the last three years”). In 1987 the PHS Band marched 76 members with new uniforms featuring a white shirt with gold-and-black trim, a gold cummerbund, black pants and a black Aussie hat. In 1989 the 61-member PHS Band won top honors at the Fort Mountain Marching Festival in Chatsworth, GA and at the Old South Marching Festival in Newnan, GA. The band also received superior ratings and second in class at the Super Bowl of Sound in Carrollton, GA with the drum major and color guard receiving first in class. In 1991 the PHS Band earned superior and first place ratings in each competition: the Mid-South Marching Festival, the Fort Mountain Marching Festival, the Greater Atlanta Marching Classic, and the Drum Duel held in Villa Rica. In 1992 the PHS Band marched 82 members and traveled to Orlando, FL to perform at the Epcot Center in Disney World. Mr. Gibson graduated from Jacksonville State University and marched three years in the Cadets of Bergen County Drum & Bugle Corps. 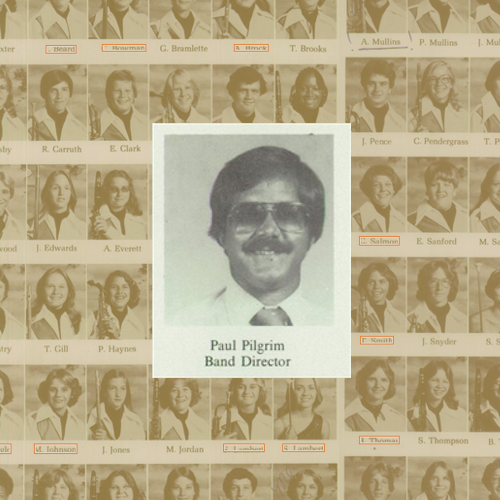 In 1995 the PHS Band had 80 members; 17 PHS band members went to District Honor Band and four made All-State. DRAGON BAND WINS SWEEPSTAKES AT PEACH STATE FESTIVAL in 1995 the AA sized PHS Band earned the rank of AAA Champions and overall Grand Champions at the Peach State Marching Contest competing against AAAA bands who at least tripled the size of Pepperell. It just goes to show that “bigger doesn’t always mean better”. The PHS Band also won Grand Championship in the lower division at the Bradley Classic in Cleveland, TN; The PHS Band also performed in the Bands of America at the Georgia Dome. In 1996 the Dragon Band Parents worked the concession stands at the Summer “Centennial” Olympics in Atlanta, GA and earned $5,700. In 1997 the Peach State Marching Competition performance was forced into Memorial Gym at Barron Stadium due to the worst weather the festival has ever seen. The PHS Band took first place at AAA level. The Pepperell High AA-sized Band was very successful with its marching and concert programs while Mr. King was the band director at Pepperell High School. The marching band frequently competed in open class and won contests, including an undefeated season by its drum major and 6-member color guard as well as Grand Champions at the Festival of States. The concert band received primarily straight superior ratings with Grade 6 literature which resulted in performances at various regional events, including top honors at the festival of States Concert Band Competition. Individual musicians were also very competitive in honor band, all-state and GHP participants. In 1999 the PHS Band had 60 members and was selected to represent Georgia in the Festival of States band competition in St. Petersburg, FL and was crowned grand champions in both marching and symphonic competitions. Bob Steelnack is a 1986 graduate of Pinellas Park High School in Largo, FL, and went on to attend the University of South Florida studying under Jerry Junkin and Chuck Owen. He served as saxophonist in the Army band program from 1990-92, stationed with the 14th Army Band at Ft. McClellan, Alabama and was an active performer with the Concert Band, Show Band, Jazz Combo, and Jazz Ensemble. He was the Honor Graduate of his class at the Armed Forces School of Music, and earned a C1 proficiency qualifier on the saxophone. He holds a Bachelor of Music Education degree with Special Honors in Music from Jacksonville State University (1996), studying under Dr. Scott McBride, Dr. Ken Bodiford and Dr. Chris Culver, and a Master of Science in Education from Troy State University (2000) studying under Ray Smith, James Smith, Ralph Ford and Robert W. Smith. Mr. Steelnack is an active performer throughout the Southeast with groups such as the Clocktower Jazz Ensemble, Northwest Georgia Winds, Ready-or-Not, Back in the Day, the Georgians, Applescraps, and other professional and community groups. 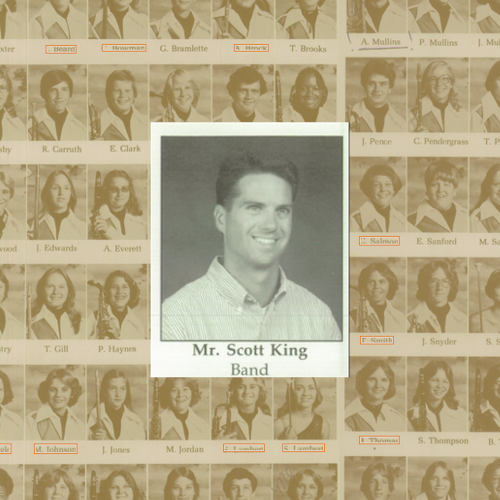 While director at Pepperell High Bob was chosen as STAR Teacher twice (2004 and 2012), and featured in the school’s Yearbook Dedication in 2010. Bands under his direction have traveled to Washington, D.C., Chicago, Virginia Beach, Myrtle Beach, and Orlando for festival and parade performances. While serving as Assistant Band Director in Gadsden, Alabama, the Emma Sansom High School Band traveled to London, England for the 1999 Lord Mayor of Westminster’s New Years Day Parade. Mr. Steelnack’s professional affiliations include memberships with National Association for Music Education (NAfME), Georgia Music Educators Association (GMEA), Georgia Association of Jazz Educations (GAJE), Jazz Education Netowrk (JEN), Phi Beta Mu, American School Bandmasters Association (ASBDA) and Phi Mu Alpha Sinfonia. He has served the Georgia Music Educators Association District Seven as band division chairman, auditions host, and Large Group Performance Evaluations host. He has served GAJE as president, and currently serves as the GMEA District Seven Chairman. The domain name “pepperellband.com” was registered in 2003 and a website was created. A FaceBook page was created in March 2011. In March 2015 John Tyler Dobson (percussionist), a senior, was honored as the 2015 STAR student for Pepperell High School. Dobson selected Bob Steelnack, former band director at Pepperell, as his STAR teacher. The domain name “pepperellband.org” was registered in 2014 and the website was moved. On Thursday, September 11, 2014, a tradition returned to the Pepperell High community with the first homecoming parade since 2001. The school’s marching band, clubs, cheerleaders, football players, and Homecoming Court were featured in the parade with a patriotic flair. September 2015 was the second year of the revived homecoming parade that had fallen dormant for a few years after a long tradition of ushering-in homecoming festivities in Lindale. “Last year’s parade was very successful and we are happy to once again provide this important community activity for our Lindale residents,” commented Phil Ray, principal of Pepperell High School. In September 2015 the sound of marching band music filled the night air at the Armuchee High School stadium as the first annual marching exhibition of area bands was held. The event had been limited to Floyd County bands in the past but this year, area bands have been added to make it an even larger celebration of high school musical talent. The event is now billed as the Northwest Georgia Marching Exhibition. Scheduled bands included: Armuchee, Chattooga, Coosa, Model, Pepperell, Rome and Trion. On Wednesday, October 12, 2016, Pepperell High School organized the first ever homecoming pep rally with a bonfire in the old Lindale Mill. The first Pepperell High School football game of the 2017 season was held at Berry College’s Valhalla Stadium on September 1st against Pickens County (Jasper, Georgia). Due to delayed construction of the field at Pepperell’s Dragon Stadium, weather and related setbacks prevented the stadium from being gameday ready on September 1st. This would be the first time that one of the Floyd County Schools (FCS) high schools would play a regular season game in a college football facility. Pickens football came up short at the Dragon Duel against Pepperell with the final score 39 to 28. The 2017 Mid South Marching Band Festival experience will be forever remembered as “where’s the podium”. Floyd County Schools forms marching band, will participate in Children’s Christmas Parade. The four band directors and 120 students from Armuchee, Coosa, Model and Pepperell High Schools’ bands joined together to perform in the Children’s Christmas Parade in Midtown Atlanta, December 2, 2017. Model High band director Tim Burton submitted the application in order for them to be able to participate in 2017, the arrangement was done by Coosa High’s band director Adam Daniel, and the special FCS Marching Band uniform was designed by Dawson Burnes, a sophomore and trumpeter at Model High. The Children’s Christmas Parade is an Atlanta tradition and the largest holiday parade in the southeast. Midtown Atlanta will be transformed into Santa Claus Lane with the sights and sounds of the season. PEPPERELL HIGH PARTICIPANTS (Mike Bright, Band Director): Isaac Cordero, Geffrie Givvons, Will Green, Malaya Jones, Lauren Patterson, Alejendro Rodriguez, Wendy Thompson, Brian Wiggins and Hannah Durham.